Last night Kulevi Oil Terminal Emergency Response Team (ERT) extinguished a fire in the forest between the Kolkheti and Parto Tskali railway stations. On November 20 of 2014 in the middle of the night Black Sea Terminal LLC Control Room received information from railway staff about a forest fire nearby that was spreading rapidly towards the railway stations. The firefighting team immediately went to the area and started to extinguish the fire. 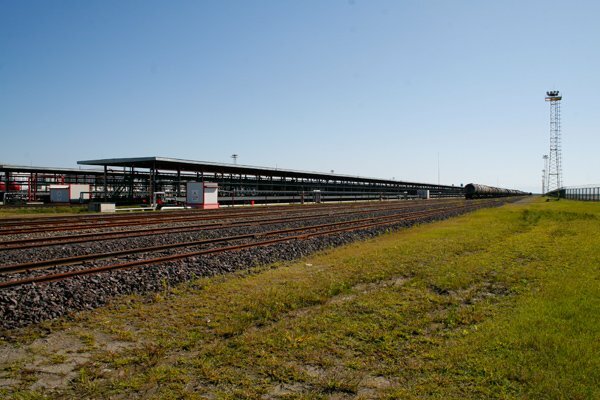 Meanwhile local firefighting services from Khobi, Zugdidi and Poti joined the terminal’s Emergency Response (ER) team and the fire was extinguished. No injuries were reported. Black Sea Terminal LLC ER team is constantly involved in helping and supporting adjacent areas in emergency situations. 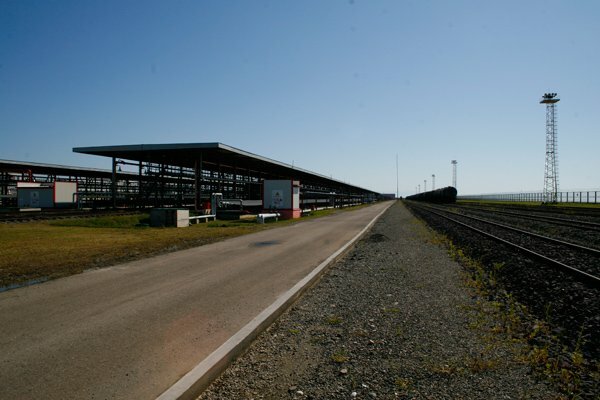 Kulevi Oil Terminal is located in the immediate vicinity of the national park, and its railway access-line intersects at several places. 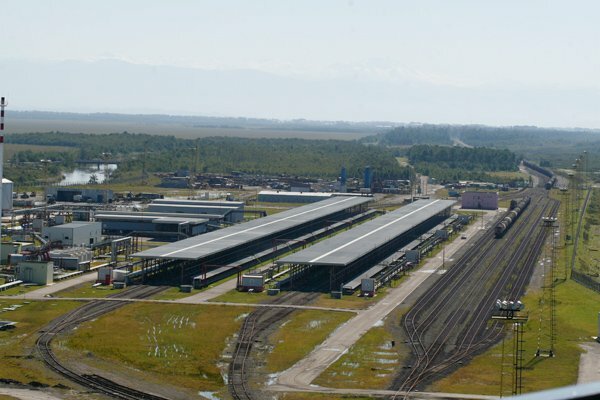 The terminal is committed to provide all the necessary support and aid to minimize all possible impact on the adjacent ecosystems. One of the main duties of the terminal is to protect the nearby areas of the Kolkheti National Park. Today Kulevi Oil Terminal representatives participated in the 2nd annual International Caspian Energy Forum – 2014, which took place in Tbilisi with participation of President of Georgia Giorgi Margvelashvili. The event aroused great interest among international investors and attracted a huge number of participants and delegates. The forum was organized within the framework of the 20th anniversary of the Contract of the Century signed under the leadership of Nationwide Leader of Azerbaijan Heydar Aliyev. It is noteworthy that the organizer – the Caspian Energy Journal, which promotes the oil strategy of the Caspian states, is also marking its 15th anniversary. The forum program consisted of three parts. The first section was held under the chairmanship of the Minister of Energy of Georgia Kakha Kaladze, and was dedicated to the energy integration of the countries of the Caspian-Black Sea and Mediterranean regions, global energy markets, and Georgia’s key role in energy, transport and infrastructure projects. The second section of the Caspian European Forum was held under the chairmanship of Minister of Economy and Sustainable Development of Georgia George Kvirikashvili, and was dedicated to the development of the economic sector and prospects of mutual relations with the EU. The forum was also attended by the heads of government institutions, ministries, committees and agencies of Georgia, as well as the countries of the Caspian, Black Sea and Mediterranean regions, representatives of diplomatic missions and missions of international organizations accredited in Georgia, and also heads of large international companies. Official support was provided by the Administration of the President of Georgia, the Ministry of Energy of Georgia, the Ministry of Economy and Sustainable Development of Georgia, SOCAR Energy Georgia, Georgian Oil and Gas Corporation and the Caspian European Club. Every year, on September 20th, Azerbaijani oil workers celebrate their professional holiday. The origin of the holiday dates back to 2001, when the President of the Azerbaijan Republic and the National Leader Heydar Aliyev issued a decree, announcing the September 20th as Oil Industry Workers’ Day. It was done in honor of the contract signed on the same day in 1994 by the Azerbaijan government and the Consortium of Foreign Oil Companies regarding the joint development of Azerbaijan's Caspian oil reserves. This document is aptly named the “Contract of the Century”. Black Sea Terminal (BST) is very proud to be part of the Azerbaijani oil strategy, which is chiefly aimed at strengthening economic and diplomatic relations with foreign countries and safeguarding peace and stability in the region. BST would like to congratulate all the oil industry workers of Azerbaijan on this special holiday. We would like to wish them good health, prosperity and success on reaching their future goals and achievements. Black Sea Terminal LLC management takes an active role in regional sports, cultural and educational arrangements. Our company frequently offers to sponsor and finance various projects. On the 10th of September, 2014, the 8th Memorial Backgammon Tournament kicked-off at one of the most beautiful resorts of Georgia – Hotel Oazisi in Chakvi. 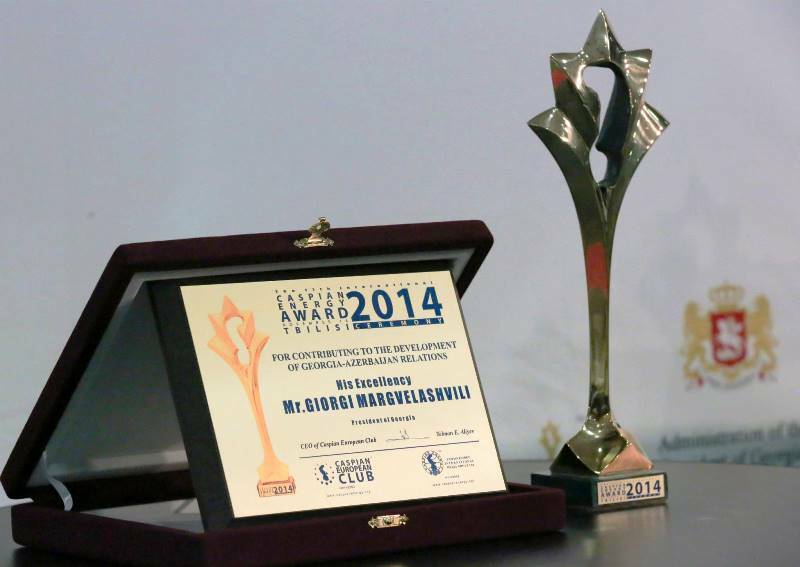 The tournament was named after Gogi Bukia and Black Sea Terminal LLC is one of the sponsors of the tournament. The tournament was founded in 2007 on the initiative of the Khobi Fund, an international charity foundation for education, culture and spiritual development, and to commemorate journalist and backgammon fan, Mr. Gogi Bukia. 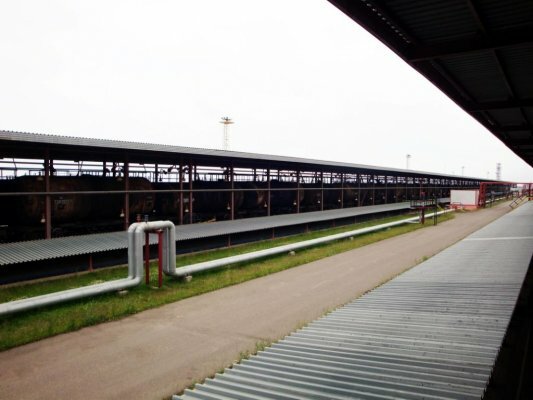 Between 2004 and 2007, Bukia worked for Black Sea Terminal LLC. He later has died after battling an illness. This year more than 100 backgammon players will take part in the tournament from approximately 15 countries. Among them are current champion of the world Akiko Yazawa (Japan), former world champion Mike Svobodny (USA), and backgammon giant and the world’s leading player - Mochizuki (Japan). Black Sea Terminal LLC wishes success to all participants of the tournament. 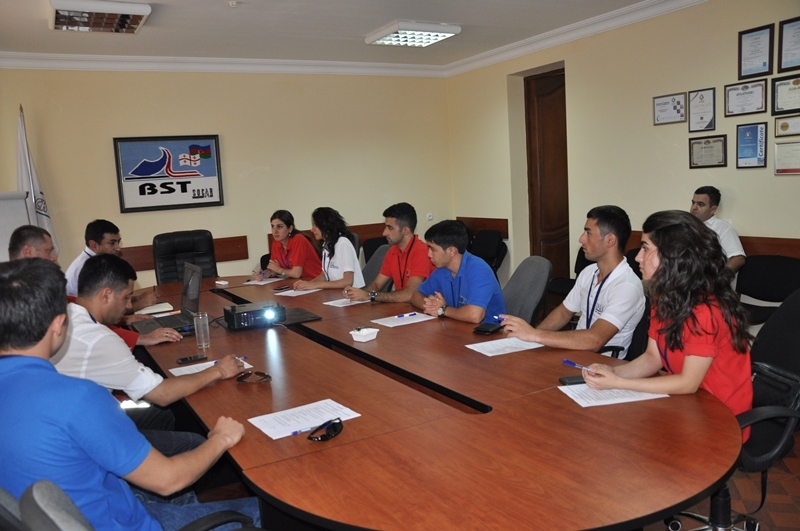 On August 26, 2014, Kulevi Oil Terminal hosted the interns of SOCAR Summer School. The company management welcomed the students and introduced them general information about the facilities. Before the site visit, the interns were introduced to terminal safety rules, policies and behavior regulations. Under the supervision of experienced technical leaders, the interns got acquainted with the operation process and had an opportunity to watch the work flow of the facilities. 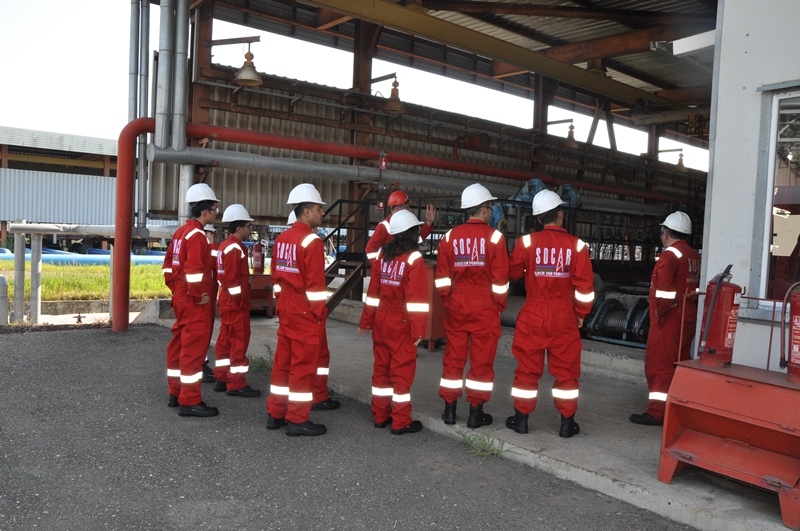 Summer School is a very important project organized by SOCAR in order to provide students an opportunity to gain directly, experience and skills in the oil industry. Hundreds of talented young people have been involved in SOCAR scholarship programs since 2005 and more than one hundred of them are continuing their education at the world’s leading universities now. 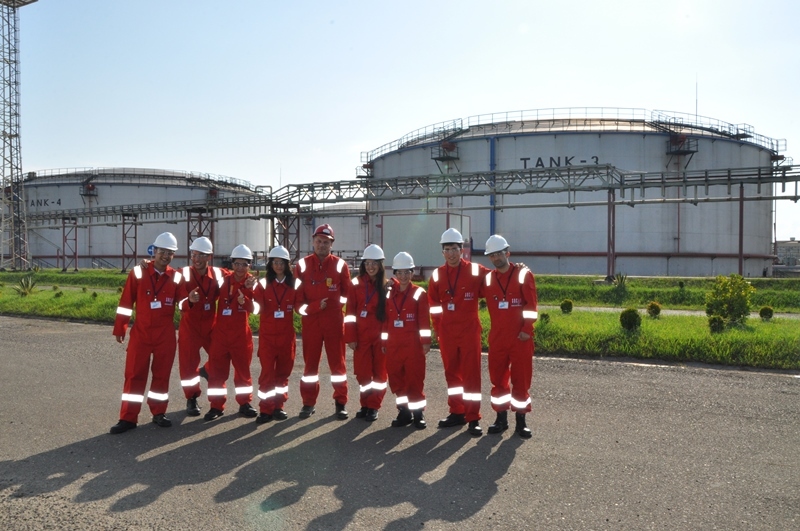 This year’s internship program includes visits to SOCAR offices in Turkey and Georgia. It also covers a broad spectrum of energy sector activities and interesting topics related to the oil and gas field’s geology and geophysics, drilling technology, oil and gas production, transportation and storage, environmental norms, oil and oil products marketing and oil price setting. The students will visit SOCAR offices and to observe the production process. Khobi is one of the most beautiful and traditional regions of Megrelia. Nobles had once lived there along with Tsotne Dadiani – a true patriot. 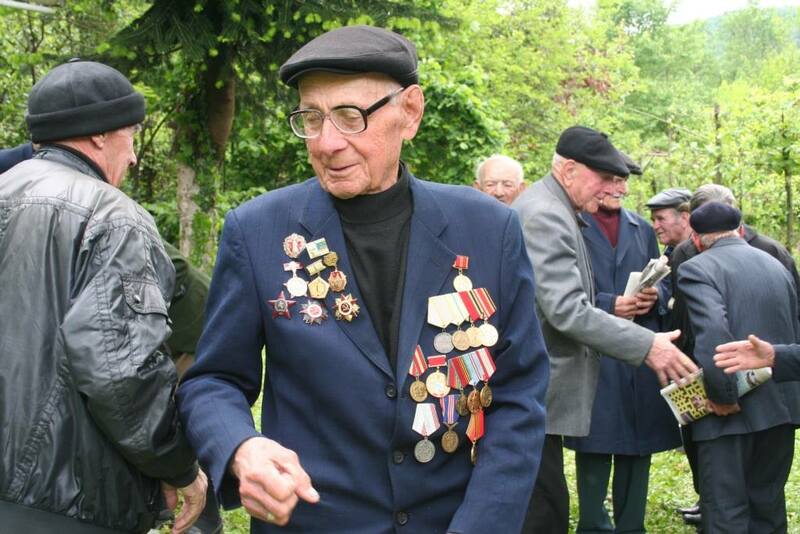 Everybody in Georgia knows about his heroism, which is an example of courage and valor for the whole nation. St. Tsotne Dadiani’s Day traditionally is celebrated in Khobi on August 12th. On this day, different events are arranged. This year’s program was notable for the variety of holiday events. The Khobi House of Culture organized a presentation of traditional country-life fragments, a trade exhibition of hand-made needlework, chess and a backgammon contest, a competition in Georgian wrestling, as well as a poetry recital. 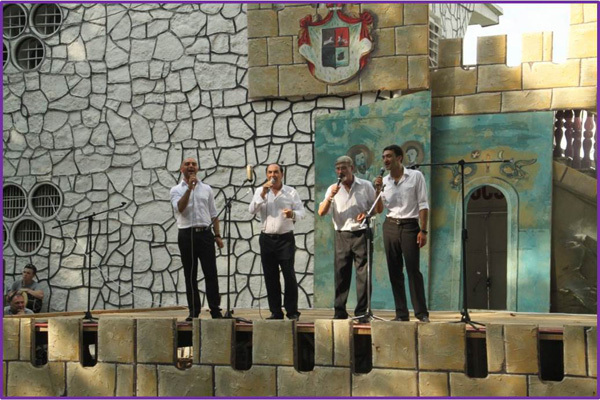 The Gordela ensemble visited Khobi to perform a charitable concert. Especially impressive was the photo-exhibition “My Megrelia” and the theatre performance of Chivalrous Heart of Small Georgia. Kulevi Oil Terminal was represented by members of the company’s administration, who enjoyed the concert and the celebration. In light of the ongoing technical progress and growth of competitiveness within the world market, it is crucial that companies employ qualified personnel. The knowledge, experience, skills and abilities of a company’s personnel comprises the human capital of a company, and determines the competitiveness and success of the company. Human Resource Development programs are deemed successful if they are able to attract and retain highly-qualified staff. This leads to increased labor productivity and business performance. The internship process should facilitate the identification of prospective young people, paving the way for a successful career and employment opportunities. 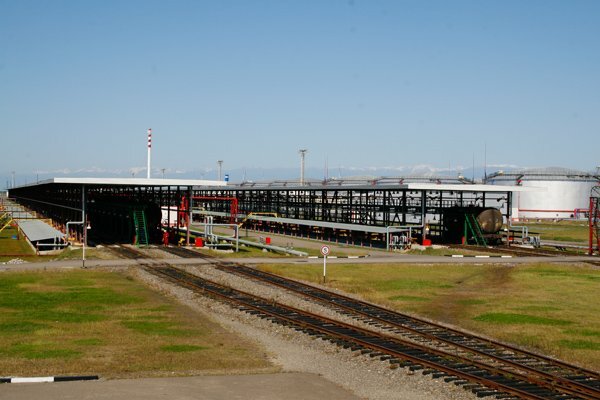 In this direction, our company has launched a program which initiated the foundation for mutual collaboration between Black Sea Terminal LLC and Georgian Technical University. The purpose of this collaboration is to involve the most successful students in the company’s internship process, to strengthen the intern’s theoretical knowledge with practical skills - and to provide the intern with a real opportunity for professional employment. This is a great opportunity to foster business relations with professionals and share best practices. It should be noted that during the internship, young people will be provided with the best working conditions, and highly qualified engineers and technical personnel will look after their professional growth. The intern will have the opportunity to work within an environment that offers modern, developed infrastructure. Georgian Technical University has selected the first group of applicants: Future Mechanical Engineers, Electrical Engineers, Instrumentation Engineers and others. BST management, HR and Legal Department are holding intensive meetings with this group to properly gauge each individual’s potential and intellectual level. This will determine the strategic plan, which will give them the opportunity to obtain professional knowledge in practice. The internship applicants will be interviewed and the successful candidates will have the opportunity to engage in practical work spanning various departments. This project is not a one-time event, and will continue and evolve. We believe it will enhance cooperation with the technical university and other prestigious universities of Georgia, as well as with representatives of the technical and business management field. It will also actively raise young people’s motivation and most importantly, will be the guarantor of the smooth migration of company human resources. Today Anaklia hosted an international business forum initiated and organized by the administration of the Samegrelo-Zemo Svaneti region of Georgia and the Georgian National Investment Agency. The forum’s main partners – the Ministry of Economy and Sustainable Development, Ministry of Energy, Chamber of Commerce, Revenue Service and other government representatives, held open debates with international and local business groups and experts about the main issues in the development of the region’s economy. The main goal of the forum is to develop Samegrelo in the Zemo Svaneti region, and to attract investment, investors, business partners, and to raise awareness of this region among prospective investors. 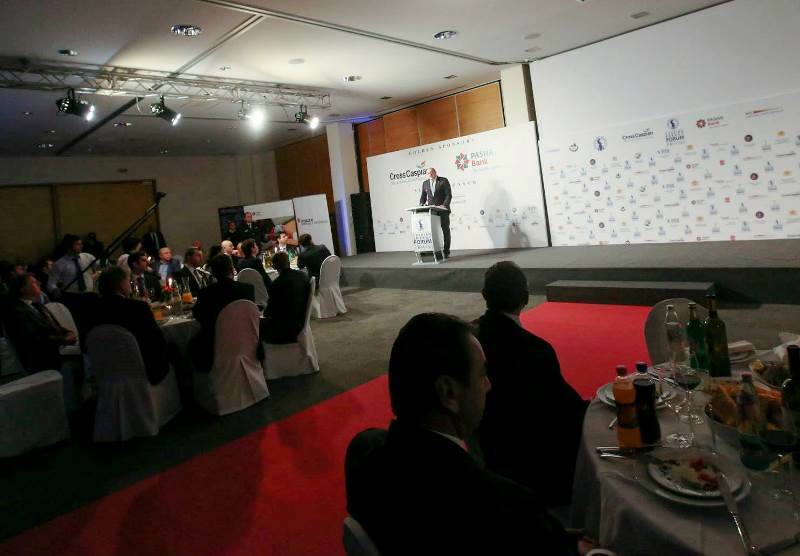 As one of the largest companies and successful investors in the region, Kulevi Oil Terminal also took part in the event. 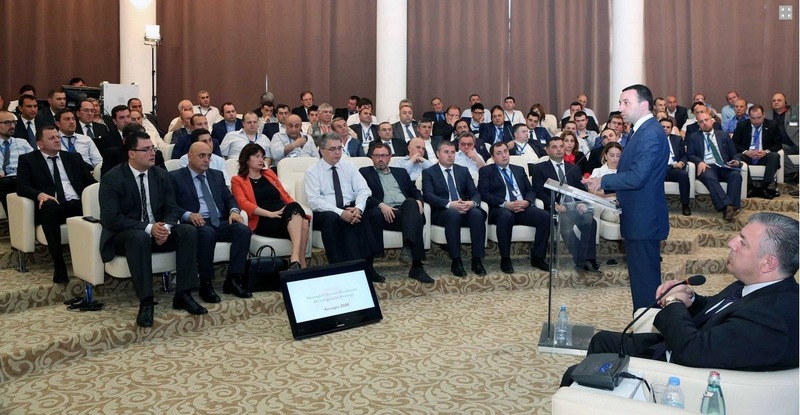 The company management participated in the open discussions and presented the result of SOCAR’s investments. The event was opened by Georgian Prime Minister Irakli Garibashvili. May 26 and 28 are the dates when the Georgian and Azerbaijani nations symbolically celebrate their national independence. On May 26, 1918, the National Council of Georgia proclaimed independence and the establishment of a democratic republic. The 1st clause of the Act of Independence stated that Georgia is a full-fledged independent state. 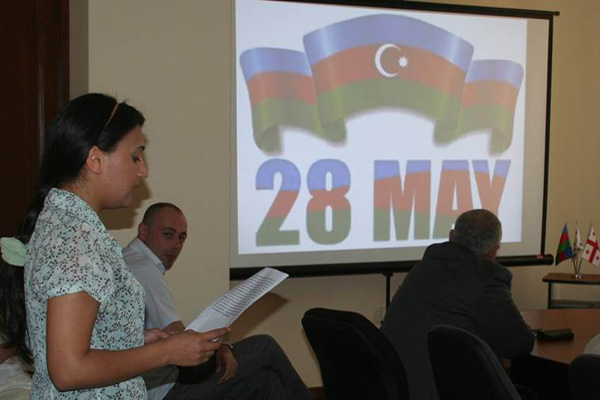 Two days after the proclamation of Georgian independence on May 28, Azerbaijan proclaimed their independence as well, and expressed their aspiration to be among world nations and their goal of building the country for the welfare of its nation. This desire, expressed almost one century ago, was so significant that it is of great importance even today. Despite many obstacles, Azerbaijan and Georgia are independent states recognized and respected by other nations. The progress of our countries, the rapid development of our economies and their social-cultural conditions, are a milestone that make unforgettable the heroes who struggled to make national independence a reality. To celebrate these very important days, a thematic photo-program has been organized in our company. The materials represent the chronological development of the activities of two brother nations. 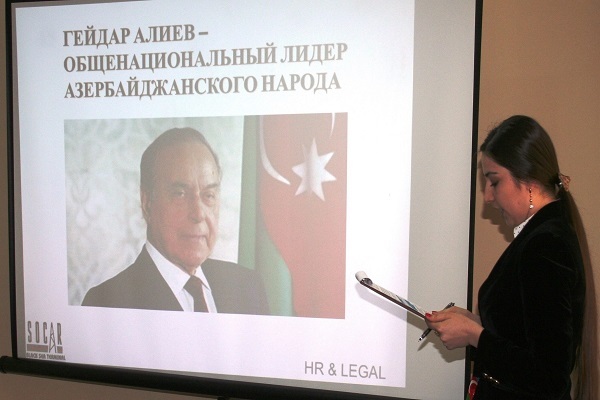 On May 8, 2014, Black Sea Terminal held a meeting with its employees on the 69th Anniversary of Victory over Fascism; The Tragedy of Shusha; Heydar Aliyev – National Leader of Azerbaijan. These themes were considered and presentations prepared by employees from different departments. Speakers noted that despite the fact that spring is one of the most beautiful times of the year, several deplorable events took place in spring and are preserved in people's memories as events full of pain and sorrow. Suffice it to say, the tragedy of the Second World War and the tragedy of Shusha is unforgettable because of their cruel nature. Both events are associated with the loss of human life, and each of us is obliged to honor the memory of those immortal heroes who died in the bloodshed. These events are extremely painful, particularly for Azerbaijanis and Georgians. 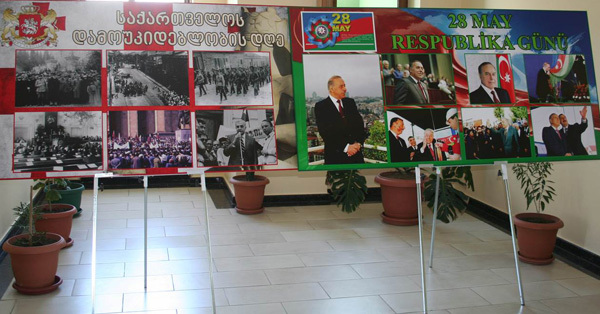 Mr. Heydar Aliyev, the great son of Azerbaijan, was mentioned with special respect. His birthday is celebrated on May 10. Aliyev was a politician of global significance and left an indelible mark in the revival of Azerbaijan. He never forgot his people and tirelessly and faithfully served the country. Mr. Karim Guliyev, the General Director of BST, made a concluding speech, by noting the historical importance of these events, and said that Heydar Aliyev discussed the need for friendship and mutual cooperation between Azerbaijan and Georgia during this time. Easter is the most important holiday in the Christian world. It is celebrated on the day of the vernal equinox (day and night are equal) the next week after the full moon. For this reason the exact date was not fixed. Easter is a day full of hope and great joy, because it is a celebration of the victory of life over death – kindness over evil, and the holiday of spiritual development. Great traditions are associated with the Easter celebration. Among them is the tradition of painting eggs in red. However, Easter eggs may be painted in various colors; still the main color is red. Traditionally, people greet each other with Easter cake and eggs painted red on green grass. Green grass is a symbol of new life, and red eggs on green grass means the victory over death. The main dish served at the Easter party is Easter cake. This year, due to the Easter holidays, all staff and each member of the team and their families were congratulated by BST managers and were wished success and prosperity. After that, a holiday dinner was prepared. 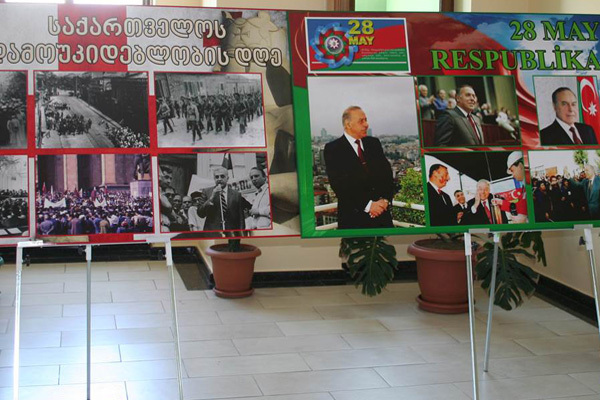 Azerbaijani colleagues expressed their gratitude and respect to the division of traditional culture. Black Sea Terminal LLC administration organized a meeting to remember the importance of this tragic day and honored the spirits of those, who died on 9 April. 6 students from the 3rd course of the Navigation Faculty of Batumi State Maritime Academy underwent two-weeks of practice at the Port of Kulevi. During the practice the students became acquainted with the port’s navigation equipment and Vessel Traffic System (VTS). They also were taught methods of the VTS operation and took part in the practice of bringing in the vessel and taking it out of the port thorough the access channel. During this period, the students took part in navigational practice on the Marian B. Dredger. They also got acquainted with the vessel facilities, its navigation and radar tools, listened to a lecture about safety and passed a training course on the usage of rescue equipment. The students gained practical skills on vessel sailing, kept watch on a rudder, and became familiar with the daily and emergency organization of the vessel, as well as the specifics related to dredging work. In previous years, the trainees used to come only for a one-day introductory visit to the terminal and port. The Batumi State Maritime Academy management expressed its gratitude to Black Sea Terminal LLC for providing the students the opportunity to partake in the practical training of future sailors and offered further close cooperation on this issue. 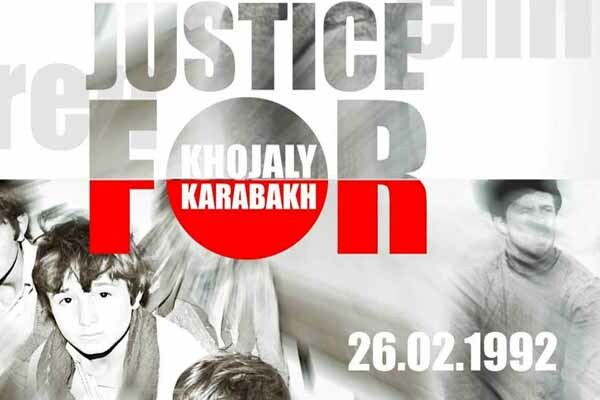 Today, on the 26th of February Azerbaijanis throughout the world are commemorating the victims of the Khojaly genocide, one of the most terrible crimes against humanity in the history of mankind. Kulevi Oil Terminal employees took part in the prayer ceremony dedicated to 22nd anniversary of the Khojaly tragedy. 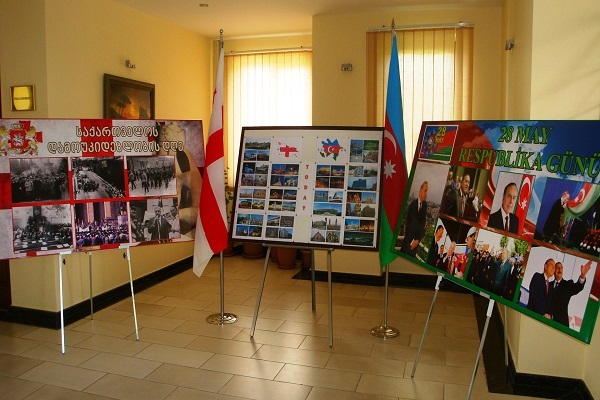 The event was organized by the General Consulate of the Azerbaijan Republic in Batumi. 22 years ago on February 25-26, 613 civilians were killed including 106 women and 83 children. With shocking brutality, 8 families were totally exterminated, 25 children lost both parents while 130 children lost at least one parent in the massacre. Now Khojaly is a dead city. Kulevi Oil Terminal also took the necessary measures to respect the memory of the victims of the genocide in these sorrowful days for the Azerbaijani people. 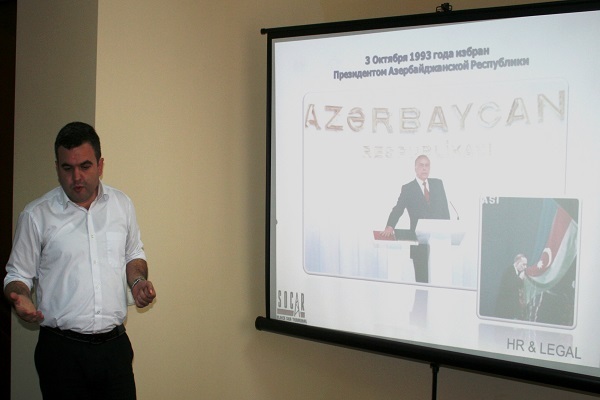 A large audience of employees was informed about the historical episodes preceding the Nagorno-Karabakh conflict, the military aggression and occupation of Azerbaijani territories by the Armenian armed forces and the inhumane acts perpetrated against innocent civilians during the Khojaly tragedy. A documentary produced with the support of the Heydar Aliyev Foundation describing the savage atrocities conducted by the Armenian militants in Khojaly was also shown to the personnel. All the employees became acquainted with the booklets depicting the horrendous photos of those tragic days. Immortal memory to the fallen! A group of professors of Batumi State Maritime Academy visited Kulevi Oil Terminal. The purpose of the visit was to introduce Professors to the Terminal organization chart and operations. The event was planned for the further development of State Maritime Academy educational programs, specifically in the technical management field. The VTC engineer-operator introduced visitors to functional specifications of navigation equipment - vessel traffic control and the regulation system, sector light specifications, radars, Automatic Identification Systems (AIS) for the identification of vessels, meteorological station and also the anchorage of tankers arriving at Kulevi Oil Terminal and the location of buoys in the access channel. A tanker mooring and unmooring video was shown to the guests. The guests thanked the Terminal employees for their fruitful cooperation. 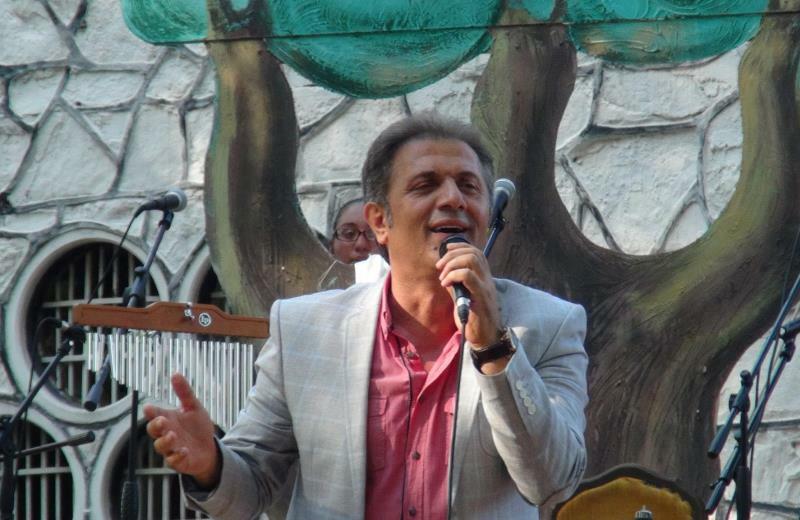 Kulevi Oil Terminal sponsored this year's 'Songs of Megrelia' festival, which has been held annually each year in Khobi since 2008. This event is famous for its rich program, which includes a series of concerts, exhibitions, excursions and presentations. The festival accepts participants and guests from various countries, among them are Belarus, Lithuania, Ukraine and Russia. The event was organized by the Khobi Welfare Fund, which oversees the development of culture, education and spirituality. 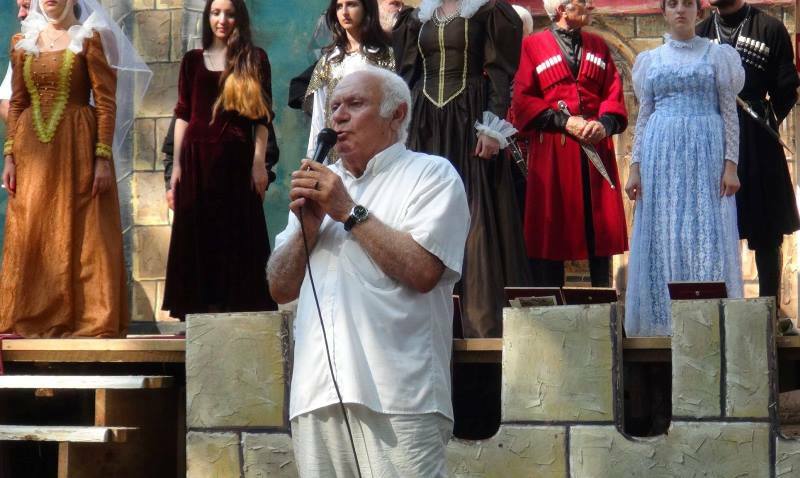 The founder of the festival's concept and the leader of the organizational group is Majoritarian Deputy Goderdzi Bukia. Kulevi Oil Terminal was represented by the company’s administration, who enjoyed the concerts and received many thanks from the municipality authorities for supporting the event. 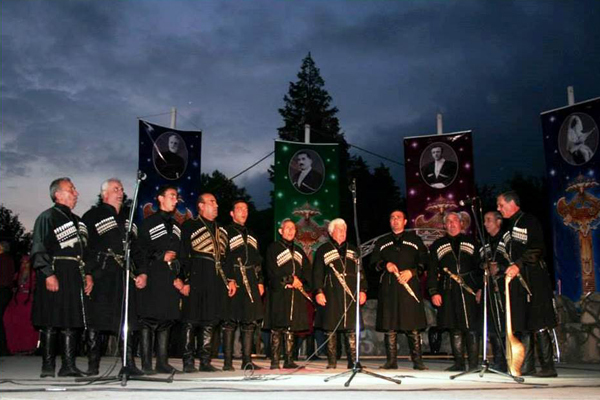 On St. Tsotne Dadiani Day (Tsotneoba), Kulevi Oil Terminal invited the legendary Georgian ensemble ORERA to join the celebration organized in Khobi. 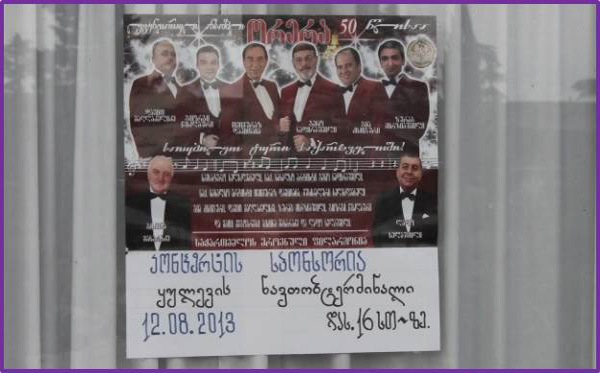 The event was organized by the Khobi House of Culture and had a very interesting program, including the presentation of traditional country-life fragments, a trade exhibition of hand-made needlework, a chess and backgammon contest, a competition in Georgian wrestling and a poetry recital. The event was opened by the Prime Minister of Georgia, Bidzina Ivanishvili, and accompanied by Chairman of the Parliament of Georgia, David Usupashvili, as well as representatives of local government. Kulevi Oil Terminal was represented by General Director, Karim Guliyev and representatives of the company’s administration, who enjoyed the concert and received many thanks from the municipality authorities for supporting the event. 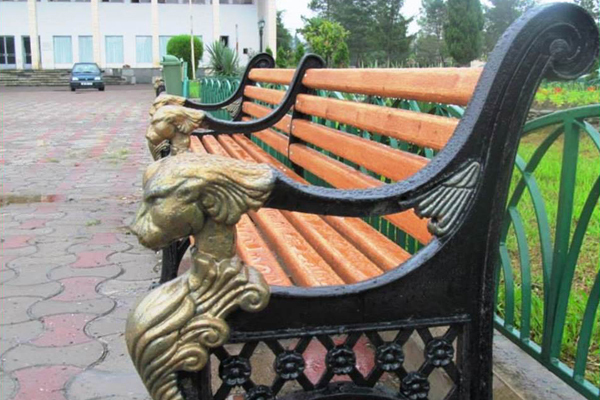 Last week, Kulevi Oil Terminal took part in an infrastructure beautification and improvement project by donating garden benches to the Khobi Municipality. 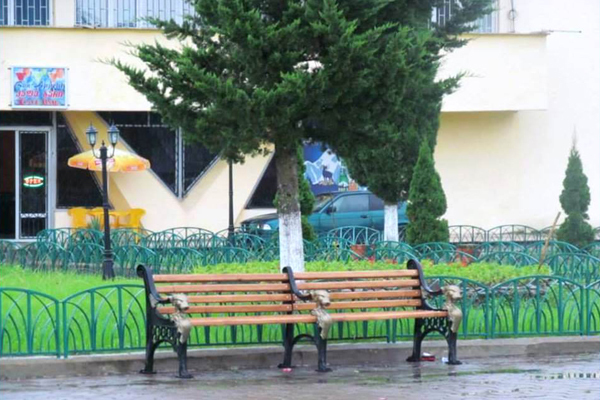 The benches were placed in a square on Tsotne Dadiani Street. 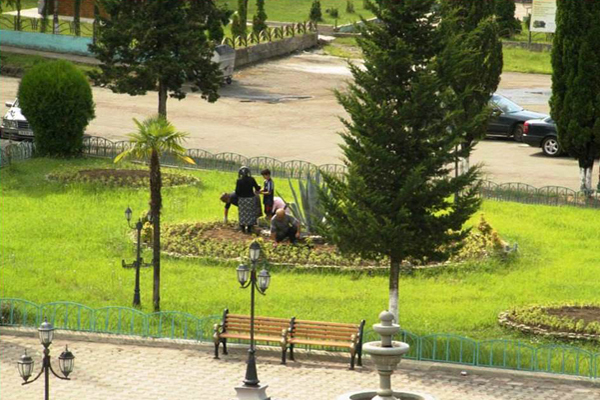 The garden benches complimented the overall refurbishment of the square, which was also decorated with newly planted flowers and freshly laid pathways. Recreation areas have a positive influence on public life. 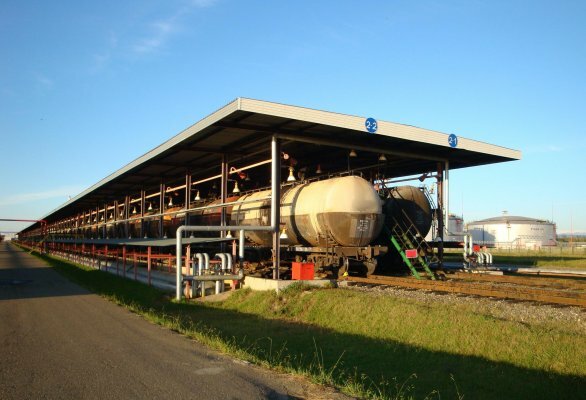 Kulevi Oil Terminal takes pride in this fact and regularly makes an effort to support the implementation in such infrastructural projects in the region. Freedom and Independence – is what the whole humanity tirelessly fought and is fighting for. If others did not need self-sacrifice, blood and tears for freedom achievement, Georgian and Azerbaijani people to shed a lot of blood for coming independent. This is most likely because freedom is a right of choice, a possibility, and demonstration of will. Today Kulevi Oil Terminal management organized an event dedicated to celebration of these two bright holidays with presenting video materials and posters about the history of independence attainment. Kulevi Oil Terminal congratulates citizens of Georgia and Azerbaijan with these significant days and wishes them peace, prosperity and success on the way of development!